Interested in visiting Búzios? Check out our traveller’s Trip List! Rising to prominence in the 19th century due to Minas Gerais increasing influence in the gold (and by proxy, shipping) trade, Armação dos Búzios was a small idyllic village known during this time for its role in the whaling industry. After famous French actress Brigitte Bardot was charmed by the engrossing scenery in the mid 1960’s, Búzios has built a reputation as a wonderful getaway that caters well to visitors from all over the world. Known nowadays for its enchanting natural beauty and plethora of beaches, Búzios is an important stop in anyone’s travel plans! Any of its 20 beaches! 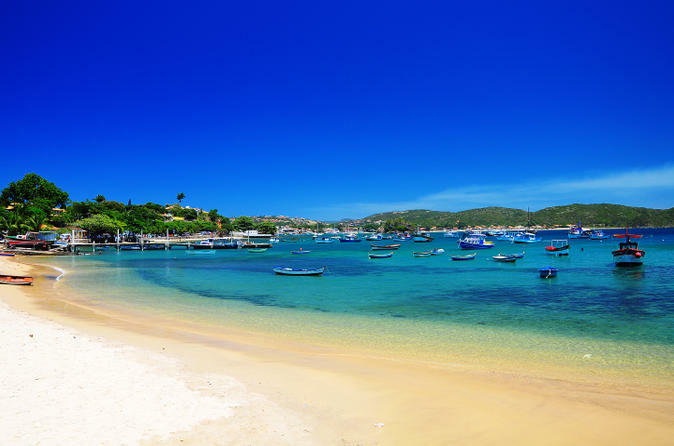 The most efficient and cost effective manner to arrive in Búzios from Rio de Janeiro is by bus. Tickets can be purchased directly at the Bus Terminal from Bus Company 1001. The #1 TripAdvisor ranked Hotel in Búzios, they feature warm, homely, and clean accommodations, ocean view rooms, as well as several enjoyable amenities (such as a pool and sauna!). The #1 TripAdvisor ranked BnB/Inn in Búzios, this place is great for someone looking for something off the beaten path. The guesthouse features culturally themed rooms, scenic hillside location just 15 minutes from the beach (and Rua de Pedras!). The property offers an outstanding breakfast, pool, and the owners and staff will provide a warm and friendly atmosphere. 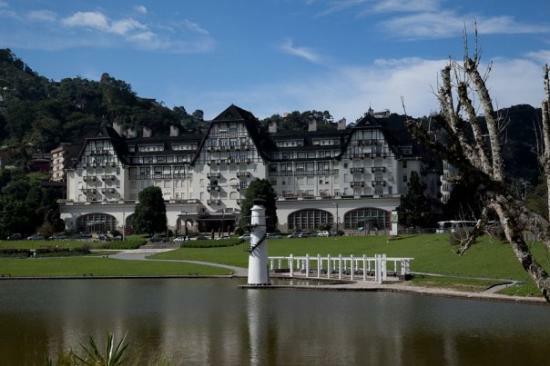 A wonderful hotel/inn that caters to several needs in-house. Housing a restaurant as well as bar/lounge, you’ll never want to leave! Despite the wonderful view and proximity to the sea, there is a pool, a business center, nearby fitness center at their sister property, as well as dedicated smoking areas. Great place to stay if you want to enjoy Búzios tourist district! Interested in visiting Salvador? Check out our traveller’s Trip List! The first colonial capital for the Portuguese in the New World, São Salvador da Bahia de Todos os Santos (or as it is more commonly known as, Salvador) is a beautiful port city in the northern state of Bahia. Considered the de facto hub of African influence in Brazil, Salvador is THE place to explore Afro-Brazilian culture. Whether it be Salvador’s famed Capoeira schools, or its status as the birthplace of samba music, those who wish to enjoy the most Brazilian of experiences should take the opportunity to visit this historical port! The most efficient manner to reach Salvador from Rio de Janeiro would be to travel there by plane. Ideally located in the center of Barra, one finds several attractions within walking distance! Irish owner Sean is known for his attention to providing all his guests with amazing service and support. The #1 TripAdvisor ranked BnB/Inn in Salvador, this pousada caters wonderfully to your needs while providing some relaxation and space from the bustle of the city. Casa da Vitoria has a wonderful view to the beach, clean, well-maintained facilities, and a very attentive staff. A reasonably priced pousada also located in “Barra”, highly recommended for those who want spend the duration of their trip really “in” the city, or for those who require significant multilingual help during their stay (especially French!). The two owners are known for their wealth of knowledge regarding the Center of Salvador, and are sure to enhance one’s local experiences while there! Interested in visiting Ilha Grande? Check out our trip list! In a coastal area that is known for its tropical beauty, Ilha Grande stands out from the pack. Carefully controlled development and denial of access to vehicles has allowed the island to retain a significant amount of its natural beauty. 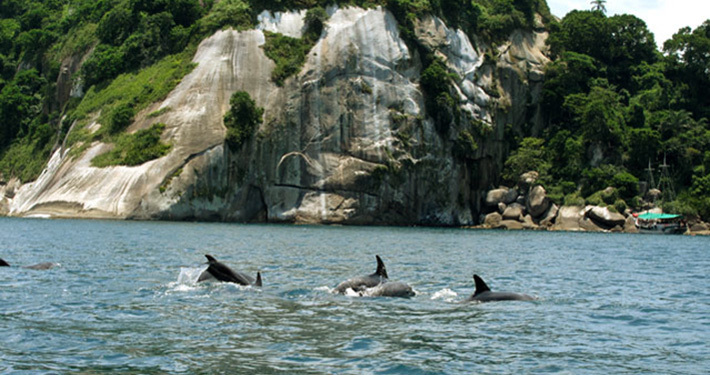 Ilha Grande is host to 100’s of isolated beaches, coral reefs, hiking trails, as well as the intermingling of various species such as rare birds, whales, penguins, monkeys, and other fauna! We recommend guests take a bus to Angra dos Reis, and then cross to the island by ferry, as there are no roads or connections from the mainland to Ilha Grande. Winners of the Travelers Choice 2014 for Ilha Grande, Vila Pedra Mar is a delightful BnB run by a family just 5 minutes from one of the island’s more secluded beaches. Featuring luxury suites, gourmet meals served for breakfast, lunch, and dinner, snorkeling equipment, canoe and free boat tour! 5 star BnB that offers excellent personal service. Rennie is known for her personal attention, as well as their offered bungalows with hammocks amidst the lush Atlantic Rainforest. Rio de Janeiro will be hosting its world famous film festival “Festival do Rio” between Sept. 24 – Oct. 8. Take advantage of the cidade maravilhosa’s fantastic cultural offerings and view the best and brightest of Brazilian and International film! Simplify your travel to and from Rio de Janeiro by purchasing bus tickets online at www.brazilbustravel.com! 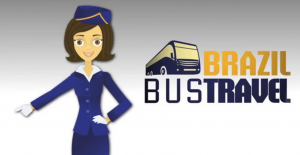 Unlike most bus ticket sites, brazilbustravel does not require Brazilian ID to purchase tickets online. An excellent and useful option for anyone who wishes to plan out their inter state travel!